I qualified as a physiotherapist from York St John college in 2005. I have worked in the NHS and private practice, treating a diverse range of patient groups but specialising in musculo-skeletal physiotherapy. 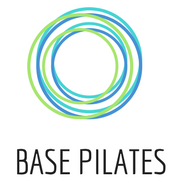 In 2009, I gained Pilates certification with the Australian Physiotherapy and Pilates Institute (APPI) and am experienced in teaching classes for general populations as well modifying and advising clients who are elderly, pregnant, or those having specific joint problems including back pain and hypermobility-related problems. Away from work, I have many passions including hill walking, camping and gardening. I am registered with the Health and Care Professions Council (HCPC) and am a member of both the Chartered Society of Physiotherapists and the Australian Physiotherapy and Pilates Institute. I hold insurance with both CSP and Fitpro.